“mat turf” Tough Dust Mats are made of virgin polyethylene (PE) material with UV protection, designed for hard conditions using European technology. “mat turf” tough dust mats are very hard and the spring effect of the Bristles helps to clean any strong dirt under your footwear. The elastic surface of the mats make their life much durable compared to any other traditional door mats. “mat turf” tough dust mats endure the normal variations in weather conditions, without cracking. In the design of “mat turf” tough dust mats, special attention is paid to safety factors. 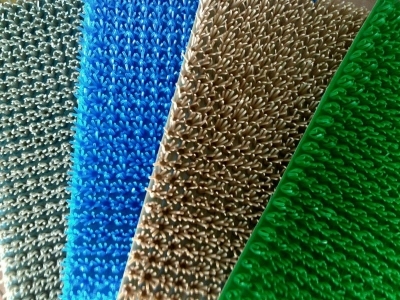 The backing of the mats is thus made of a material preventing sliding.